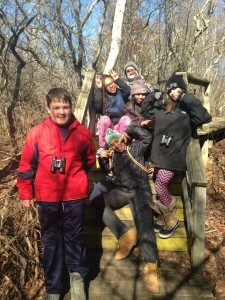 This past Saturday, the Outing Club set out to the Parker River National Wildlife Refuge on Plum Island in Newbury, MA. This trip was to test out our birdwatching skills in using field guides, binoculars and paying attention to those little feathered friends. We ended up being able to identify 25 different species of birds including a Northern Harrier (Marsh Hawk), a Short-Eared Owl, and a Snowy Owl!!! It was great trip and all of our students (and parents) left having a new appreciation for birdwatching and the natural world.